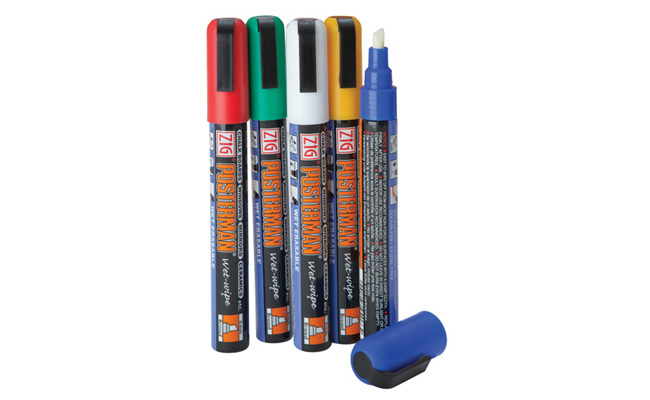 Jazz up your chalkboards and blackboards with our range of chalk, markers and pens. This range of pens and chalk for sign writing are ideal for use with the range of pub and restaurant chalkboards we stock, enabling you to have some fun with your signs, really injecting some personality into them, as well as communicating important messages. Consider all the added extras you need to run your pub or bar with this range of chalk, markers and pens from Pattersons Bar Supplies. We stock an extensive range of bar equipment and wholesale bar supplies so that you have everything you need to run your licensed premises as smoothly as possible. Remember we have a large selection of bar signs to ensure you have all the signage you need to comply with law too!